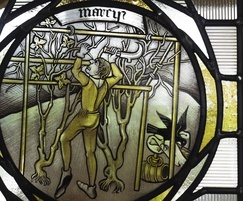 Bradley Basso designed and created a series of hand painted medieval stained glass panels for a private residence in Henley - on - Thames. 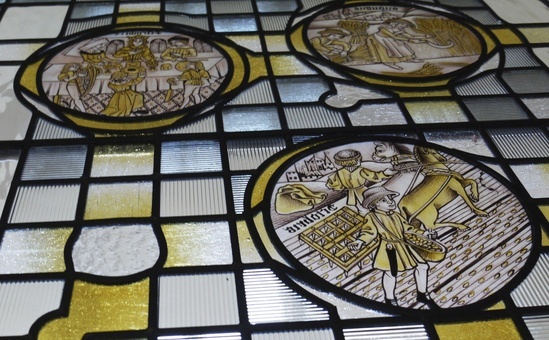 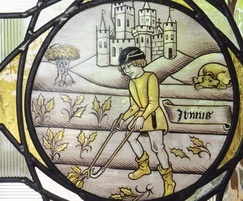 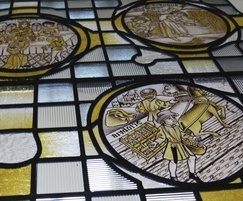 The painted glass panels were representations of the Labours of the Months - a series of agricultural moments reflecting the previous farming heritage of the house. 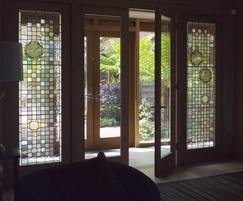 The door panels were designed with a setting of reeded and textured glass with areas of silver stain to accommodate the hand painted and hand stained medieval glass roundels.